Nobles Medical Technologies™ II collaborates with several internationally renowned physicians when designing and implementing its products and technologies. Several of these top physicians from the key areas of clinical practice are members of the NMT2 Clinical Advisory Board. Dr. Mullen is Consultant Cardiologist at The Heart Hospital, University College London Hospitals where he has setup and is lead for the Structural Heart Intervention program. In Memory of Dr. John Crew, Vascular Surgeon who passed away this year from stroke, the very disease he was helping to reduce with his efforts at Nobles Medical 2. 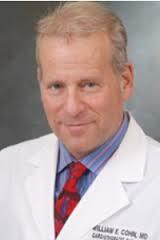 Dr. William Cohn, Cardiac SurgeonDr. Cohn is the Director, Center for Technology and Innovation; Associate Director, Laboratory Surgery Research in the Center for Cardiac Support; Co-director, Cullen Cardiovascular Research Laboratory Texas Heart Institute at CHI St. Luke’s Health - Baylor St. Luke’s Medical Center. 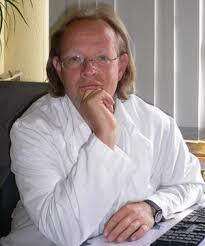 Prof. Dr. Warnke is Chief of Neurosurgery for Paracelsus Klinken in Zwickau Germany. Dr. Warnke serves as Professor at the West Sachsen Hochscule in Zwickau.